Edinburgh is just the place for thrifty, book-loving odd-balls. Many areas, like Bruntsfield, Marchmont and Waverly sound like settings that Jane Austen has fabricated. There is even a Bingham Park and, while I’ve yet to come across a Darcy Drive or a Wickham Way, it’s only a matter of time before mindful town planners restore the literary balance. I suspect the city was designed by a brilliant, absent-minded professor of literature, who approached the task like the writing of an essay. 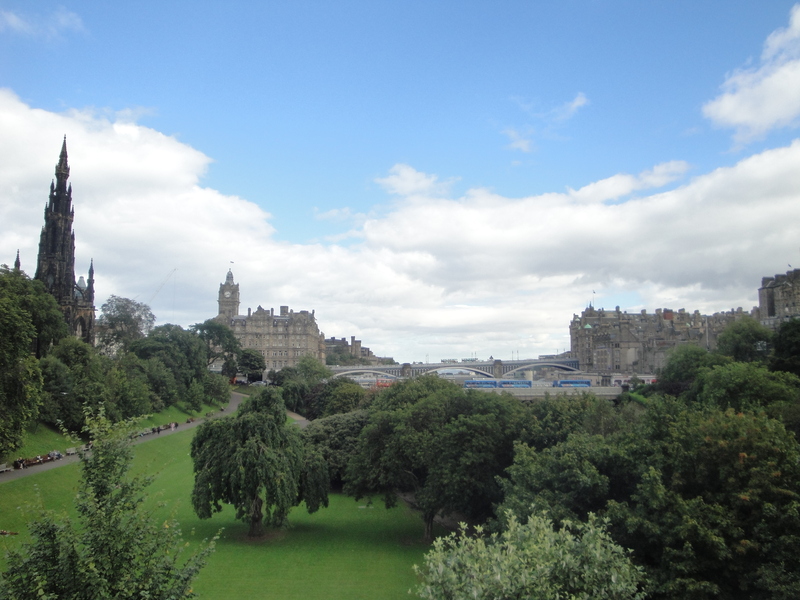 There are examples of sublime beauty, like the Balmoral hotel, the Walter Scott monument and of course Edinburgh castle, but they are clumsily linked by several hills, which pepper the city indiscriminately. The effect is similar to the reward felt by a reader who huffs and puffs their way through stodgy prose, wondering where it is all going, only to stumble suddenly on something quite profound. On Thursday, I stumbled across the St John’s charity bookshop in Stockbridge. A poster in the window said “Clearance! Everything 50 pence” and I was inside as fast as my little legs could carry me. It was cluttered and reassuringly musty. Bookish types sporting oversized anoraks and tufty hair browsed stealthily, building discerning piles of poetry, murder mysteries and natural history. While I prowled the store, several dismayed customers asked the elderly couple behind the counter why everything must go. “We haven’t got enough volunteers to keep it going,” said the man. “Now where am I going to go for my books?” asked one lady and sighed. “If only I’d known, I would’ve given up a few hours,” said an English man, who blinked a lot and bought the collected works of Oscar Wilde. I didn’t need to be told twice. Some of the titles I had been perusing were so promising that the thought of them condemned to shredding alongside household bills and letters from the bank sent a shiver coursing down my spine. I was tragically limited by the confines (56 x 45 x 25cm including wheels) of my hand baggage allowance. Nevertheless, I managed to add six books to my collection. It only set me back £3, which is about the cost of a glossy magazine offering to make me beautiful and thin. I am now the proud owner of: The Personality of Animals by the appropriately named H Munro Fox, The Childhood of Animals by Sir Peter Chalmers Mitchell, Know Your Own IQ by H.J. Eyesenck, The Common Reader by Virginia Woolf, The Hill of Devi by E.M. Forster and most promisingly of all: The Intelligent Woman’s Guide to Socialism, Capitalism, Sovietism and Fascism Volume 2 by Bernard Shaw. I opened the most humble-sounding of them, Virginia Woolf’s The Common Reader on the plane earlier. I kept it open on the bus and then on the underground and even brought it to bed with me. We travelled well together. 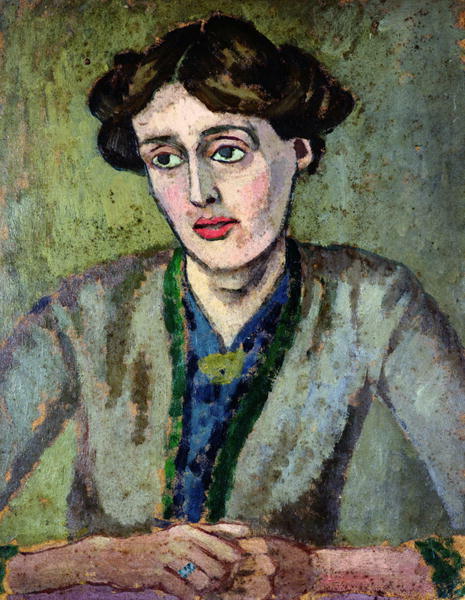 Ms Woolf seemed to understand the dilemmas of contemporary blogging as early as 1925. In her chapter “Modern Fiction,” she asks what about and why and how we should be writing. Baffling questions that the amateur blogger faces every day. Sometimes I steal snatches of conversations I’ve had and slap them onto the blogosphere. Other times I talk about love or meat or peeing audibly. Occasionally I think about weighty things like politics or God and think I should write about these things too, yet I can find nothing more to say. And then there are the times I dream of invention. I wonder whether my paltry life experience could ever be transformed and trapped within the dusty covers of a big fat book. Examine for a moment an ordinary mind on an ordinary day. The mind receives a myriad impressions — trivial, fantastic, evanescent, or engraved with the sharpness of steel. From all sides they come, an incessant shower of innumerable atoms; and as they fall, as they shape themselves into the life of Monday or Tuesday, the accent falls differently from of old; the moment of importance came not here but there; so that, if a writer were a free man and not a slave, if he could write what he chose, not what he must, if he could base his work upon his own feeling and not upon convention, there would be no plot, no comedy, no tragedy, no love interest or catastrophe in the accepted style, and perhaps not a single button sewn on as the Bond Street tailors would have it. Life is not a series of gig lamps symmetrically arranged; life is a luminous halo, a semi-transparent envelope surrounding us from the beginning of consciousness to the end. Sometimes I get stuck inside the semi-transparent envelope. I know I’m there when words fail me, or I lose the desire to write. It takes a hilly city, with rough cobble-stoned streets, place names that make me feel like I am Elizabeth Bennet and charitable book-sellers to break the seal. This entry was posted in Uncategorized and tagged books, Edinburgh, Kate Ferguson, Life, Modern Fiction, Travel, Virginia Woolf, Writing by Kate Katharina. Bookmark the permalink. I would love to travel to these places, it sounds amazing. Virginia Wolf had it right to ask how and why we should be writing. There is definitely a fine line between free speech and clutter. Thanks for the post! Fantastic writing. I would love to find a little gem of a bookshop like this near to myself. No one appreciates the magic and satisfaction of a physical book any more, and for me you have emphasised how amazing and satisfying it can be! Enjoyed your writing and storytelling immensley. I’m trying to figure the life metaphor . Heartbreaking. The closing of the bookstore that is. The shape and continuity of deliberate writing rearranges that cloud of inanity in the envelope, allows the writer to make sense of a day outside of self that gives shape and continuity to the writer’s sense of that shape and continuity not only of the day but of the shelf. And what IS the self without some shape and continuity? Edinburgh is a beautiful city with a fantastic vibe. I would have found it difficult to limit myself to six books too. I love that paragraph from Woolf and your interpretation of it. Great blog.